Well Tommy Robinson has finally been released from prison and not a day too soon as far as I am concerned and not because I agree with the way Tommy goes about things, I actually don’t but I do believe that if people would have listened to him ten years ago, a lot of young peoples lives may not have been so grotesquely wrecked and you would need a very strong argument to prove that statement wrong. 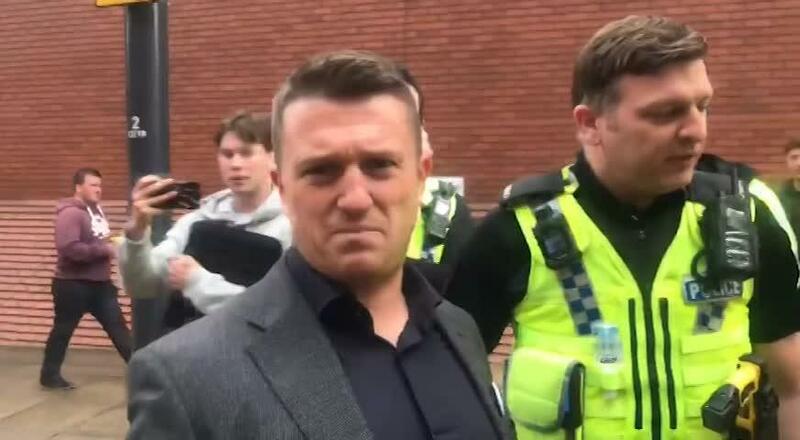 However, Tommy has had to endure a tirade of abuse from all quarters simply because he has spoken out so adamantly against something that can only be classed as being at epidemic proportions in the UK today, the serious issues of Muslim grooming gangs. To deny they exist is worse than ignorant because the convictions clearly prove otherwise and now the new home secretary Sajid Javid has also stepped up to the mark to tackle the problem. It is something that is real and needs to be dealt with and the only one shouting about this ten years ago was, in fact, Tommy Robinson, so like him or loathe him, don’t ever try to convince me that he was wrong to do so. The ones who were wrong in my eyes are those who have closed their ears and condemned him for speaking out simply because he was from a working-class background or he was painted by the media as a football hooligan, racist, etc. So the appeal is now over and for the time being Tommy is a free man, although somewhat surprisingly the judge, Lord Burnett, who happens to be the most senior judge in the land has ordered a retrial and I personally think that is a complete waste of taxpayers money. Especially has Tommy has served the equivalent of a four-month sentence already. This is Lord Burnett’s judgement of the appeal case, with a few inaccuracies and contradictions, which I will point out in this blog. I think it was around 2005 that the law in England and Wales changed and before that, a person could not be tired for the same crime twice, however that is no longer the case and Lord Burnett clearly stated in his summing up “We will direct that the matter be reheard before a different judge.” so Tommy will have to go back before a judge to once again face the charge of contempt of court and I suspect that unless they assure him that he will walk out a free man having served the equivalent of a four-month sentence, he will most likely plead ‘Not Guilty’ to the contempt charge at Leeds court. It will all depend on what his council can come up with before the case goes to court but I personally recommend a not guilty plea purely because Lord Burnett clearly pointed out that the jury had retired when Tommy created his live feed on Facebook and that is a very important revelation in regards to the whole contempt charge. I see Secret Barrister has done her usual blog painting Tommy Robinson has some form of knuckle-dragging far-right racist who deserves all he gets, so let’s take a view of the judgement by Lord Burnett who quashed Judge Marson’s committal and ordered a retrial, which I do honestly believe under the circumstances is a complete waste of taxpayers money as Lord Burnett’s summing up seems to prove Tommy Robinson’s innocence. Inthe interest of fairness, ignore your own personal feelings about Tommy and look at the case as if it could be anyone that this happened to, it is not about who the person is but about how the law is interpreted and implemented in any given case. It is clearly obvious that opinion is swayed because it happens to be Tommy Robinson and that really should not be the case, so look at everything that has taken place from a ‘Mr X’ perspective. In paragraph 18 it actually appears that Judge Marson did not know he was dealing with a trial of 27 men and two women but he did go onto state that the contempt was the video that TR made and the fact he was getting people to share it aggravated the matter, so it is axiomatic to state that Tommy Robinson was sentenced to 13 months in prison for a Livestream that he put on Facebook outside the court in Leeds. In paragraph 3 Lord Burnett clearly states that “despite his having accepted on both occasions that he was in contempt of court” and yet in Paragraph 20 he states “At no stage were particulars of the alleged contempt put to the appellant for him to accept or deny them.”, so surely that is a contradiction, did he plead guilty or not? If he was not given the opportunity to do so then obviously not. So I guess all those constantly shouting “But he pleaded guilty” got it wrong and there was a lot of fake news put out following TR’s committal, not that any of them will ever admit they got it wrong, their delusional belief that they are always right will simply not allow them to ever admit they were wrong. Now when sentencing TR to 13 months, Judge Marson stated: “No one could possibly conclude that that was likely to be anything other than highly prejudicial to the defendants in the present trial.” (p.23), note the highly prejudicial part as this implies that Strict Liability was used in the contempt case which would mean that TR would need to be guilty of ‘Substantially’ impeding or prejudicing the ongoing trial for him to be guilty of the contempt charge and yet in the Lord Burnett judgement it clearly states that the jury had retired. Now when jurors retire to deliberate they are forbidden to access the internet and so it would have been impossible for them to have seen what TR was doing outside the court, had they watched the Livestream they too would have been guilty of contempt. So it means that what he was doing outside the court could not have influenced that jury in any way at all, most certainly not substantially impeded or prejudiced that ongoing case, which is the criteria for strict liability contempt. So it really begs the question as to why there is a need for a retrial, I can almost feel Secret Barrister screaming at her monitor reading this, “it was the very fact he was filming that is the contempt” but that is not what Judge Marson QC stated in his summing up, when you read the appeal judgement. It was evidently clear in the judgement transcript that Lord Burnett was far from impressed with Judge Marson QC and he had clearly not bothered to follow procedures as he should have, even the practice directions that state the judgement transcript of a contempt of court conviction should be posted on the judiciary website as the earliest possible convenience for public scrutiny was totally ignored and to the best of my knowledge that transcript is still not there yet. Personally, I think Judge Marson QC has shown far more contempt for the judicial court process than Tommy Robinson did with his Livestream but I doubt very much that anything will be done about that. However, I still think that it is not in the publics best interest to have a retrial, as the costs to the taxpayer will be quite high I imagine and having watched the whole 1 hour 15 mins of that LiveStream I really do fail to see anything that he did that could come close to ‘Substantially’ impeding or prejudicing that ongoing case. Another factor that seems to have been ignored throughout all of this travesty of justice, is the fact that Tommy Robinson was not the only one filming outside the court that day. Tommy had two associates with him who were also filming, George and Coalan, this was clearly evident in the Youtube video because the police took Tommy’s phone off him and the camera kept rolling and as they put Tommy in the police van, you can see Coalan filming on his phone (see pic above) and so George must have been filming what was being shown at that time. This means that Tommy Robinson was singled out and that clearly shows unfair and unjust treatment. I guess we will just have to wait and see what happens at the retrial and I sincerely hope the presiding judge watches the whole Livestream video which clearly shows that TR did everything he possibly could to avoid anything that could get him arrested for contempt of court that day, even checking with the police there on the day that he was alright to film outside the court. At one point in the video Tommy actually asked one of the defendants what they thought of the verdict and the clearly shows that Tommy thought that the verdict had already been given. Also, he certainly did not give out any information in relation to the ongoing trial that the jury nor anyone else was not already fully aware of or could have easily found in any other open sources available for that same information. Though many believe it so, for me personally, this case is not about Freedom of Speech but far more about the rule of law and how the law has been implemented in this case and yet the highest judge in the land, Lord Burnett clearly states that judicial procedures were not followed in Tommy’s conviction, he believes that it is in the public interest to have this case reheard in front of another judge and on that point I have to disagree because as far as I can see having watched the whole video, Tommy has served the equivalent of four months in prison having been charged with contempt for prejudicing an ongoing trial and I simply do not see how that was actually possible after the jury had heard all of the evidence and had retired. Surely it would be more in the public interest not to drag this through the courts all over again and if for some obscure reason TR was found guilty of contempt then hasn’t this retrial only amplified the risk of the ongoing case in September being jeopardised, due to the obvious media promotion this retrial will bring? Tommy is now home with his family and is going on a well deserved holiday with his family, I hope they can put this ordeal out of their heads for a couple of weeks and simply enjoy some family time together. That, of course, will be so much easier to achieve if the media and everyone else simply leave them to get on with it. 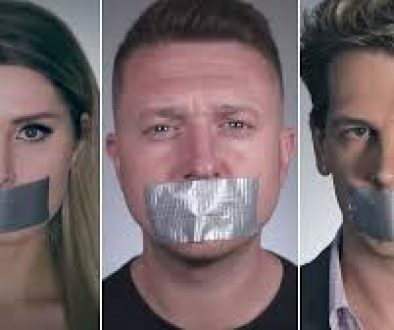 I suspect the debate of the Tommy Robinson contempt conviction will go on for a very long time and will have as much chance of both sides of the argument finding agreement as the Hart and Devlin debate on ‘Morality & Law’.